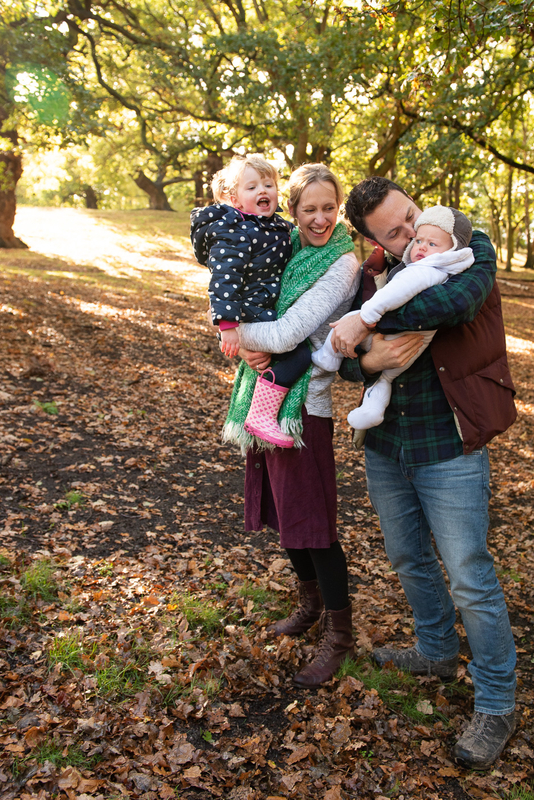 Autumn is the most popular season for family photography for a reason. Nature’s colours are in full bloom, the sun gives off a gorgeous golden hue, and the temperatures are perfect for spending a day outside. Katie wanted to take advantage of this gorgeous time of year to have a session with her family and her sister’s family, who they spend loads of time with. They had a photo session like this a few years back, but now they both have another child and it was time to update. A day out with four children under 4 can make some people nervous. But Richmond Park is the perfect setting to find something to keep everyone happy. Katie and her family brought along a kite as well just in case. And between kite flying, tree trunks to climb through and dens to explore, they had a day full of great memories.